The POB-Tooth is a Serial / Bluetooth adapter. 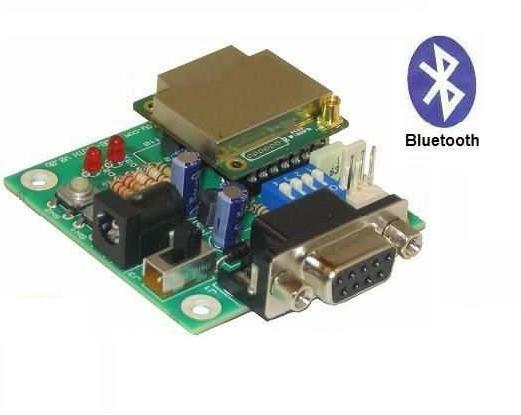 You can communicate between your robot and a cellular phone, PDA or a computer with a Bluetooth connexion. Why don't you synchronise two robots ? The new possibilities are awesome ! This module, thin and with light current needs, can be inserted into all your robots. You just have to connect it to your robot 's serial port. A tools for configure the POB-Tooth boards. If you don't want use the previous tools, use this code on POB-EYE.